Looking for a Used Soul EV in your area? 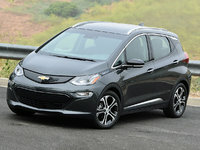 CarGurus has 214 nationwide Soul EV listings starting at $9,975. If you’re looking to be particularly eco-friendly during your daily commute or your trip to the mall, Kia’s 2016 Soul EV compact 5-passenger, 5-door all-electric wagon might be a wise choice. The upcoming year's Soul EV gets a new, less expensive base trim, the EV-e, followed by the midlevel Soul EV and the flagship Soul EV+ (Plus). The 2016 Soul EV also gets a brand new Sun and Fun package option, with a power sunroof, LED interior lighting, and door-speaker-mounted lights that pulse to the beat of the stereo. The Sun and Fun package is actually this pint-sized battery-powered people-hauler's only option. All 2016 Soul EV trims are available with front-wheel-drive (FWD) only, while cargo area returns at a comparatively hefty 49.5 cubic feet with the rear seatbacks folded. And while the debuting 2015 editions of Kia’s Soul EV were available only in California, Georgia, and Oregon, the vehicle's surprisingly brisk sales have led the Korean automaker to schedule its release in at least 5 other states in the near future. Powering the 2016 Soul EV is an 81 kW (kilowatt) electric motor that’s mated with a single-speed direct-drive transmission. Look for 109 hp and 210 lb-ft of torque form the powertrain, and 3 driver-selectable cruising modes from the transmission: Drive, Brake (with more aggressive regenerative braking), and Eco. Actual driving grunt comes from a standard 27 kWh (kilowatt-per-hour) lithium-ion battery connected to a 6.6 kWh on-board charger, which, when used with the standard “quick-charge” DC port, allows an 81% charge from an empty battery in 33 minutes (according to Kia). A 240-volt AC charging system is again available, offering a full charge from empty in around 5 hours--about an hour longer than it takes to charge Nissan’s similarly equipped Leaf. But while the Leaf, the Ford Focus Electric, and the Volkswagen e-Golf all offer an average range of 80 miles, the Soul EV's purported range is 93 miles, with at least one test drive netting a hefty 121.5 miles before the battery ran dry. Acceleration tests had the 2015 Soul EV scooting from 0-60 in 9.5 seconds. Standard appearance features on the new base Soul EV-e include 16-inch alloy wheels and heated power mirrors, while the EV includes upgraded 16-inch alloy wheels and turn-signal-integrated mirrors. The top-shelf EV+ adds power-folding outside mirrors and front fog/driving lights. Inside, depending on the trim selected, look for heated front seats, full power accessories, climate control, cruise control, and telescoping tilt-wheel steering. All trims also sport a 3.5-inch EV driver information display and Kia’s touted Flex-Steer system, offering driver-selectable Normal, Comfort, and Sport modes that each adjust steering effort to suit your driving mood. Each trim also comes with a heated steering wheel and Bluetooth hands-free calling, while higher trims toss in upgraded automatic climate control with Climate Scheduling, which puts the climate control system on a timed start as the EV is charging up. Both the Soul EV and EV+ add extra features like UVO EV services (smartphone apps), a rear-view camera, and voice-activated GPS navigation with an 8-inch touchscreen. The EV+ also comes outfitted with standard leather upholstery, front and rear parking sensors, ventilated front seats, heated rear seats, upgraded cabin accent materials, and an auto-dimming rear-view mirror. Entertainment includes a single CD/MP3 player with 6 speakers, satellite radio, and a USB port. Standard safety equipment aboard the 2016 Soul EV in all variations includes 4-wheel antilock brakes (ABS), traction and stability control, front side-mounted airbags, front and rear head-protection airbags, daytime running lights, UVO emergency telematics, and hill-start assist. Neither the government nor the insurance industry has tested the Soul EV for crashworthiness, but the non-electric Soul gathered an overall 5 out of 5 stars in government tests, as well as the highest rating of Good from the Insurance Institute for Highway Safety (IIHS). 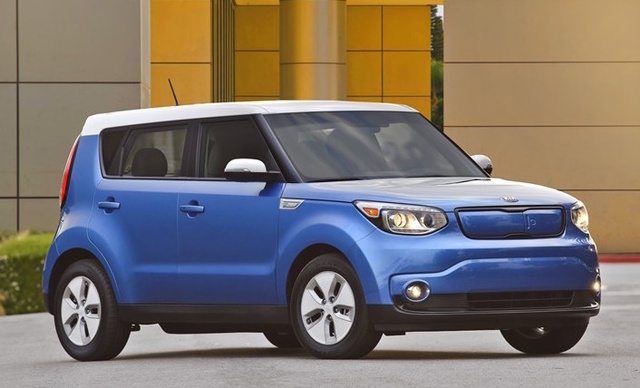 What's your take on the 2016 Kia Soul EV? 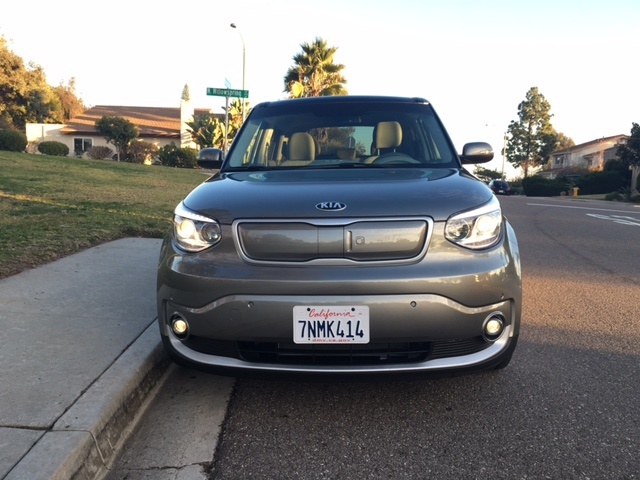 Have you driven a 2016 Kia Soul EV?